Take a deep breath and focus on the essential dilemma of your life right now. 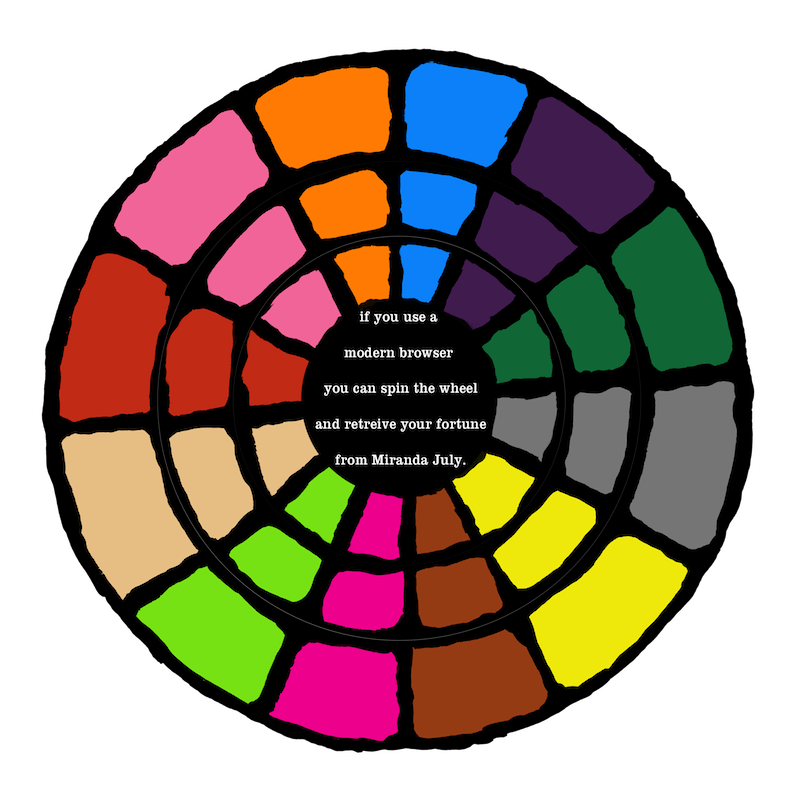 As you exhale, click on the wheel below. Ponder the advice. MJ is trying to help you, but she can't do it alone. For best results, sign up for bi-weekly divination. Think of a person you would like to touch. Now imagine this man or woman is that person and click on the parts of his/her body in the order in which you would touch them if you could. Start the timer and write the word PLEASE as many times as you can before the time runs out. You may also write other words that would be appropriate when begging your own soul for forgiveness after having forsaken it. Note: This service is only available for a limited time, i.e., I can't really see doing this for the rest of my life. Occasionally you will receive the same future again. This probably means you didn't really take it to heart properly the first time. It is no less true when it comes again.